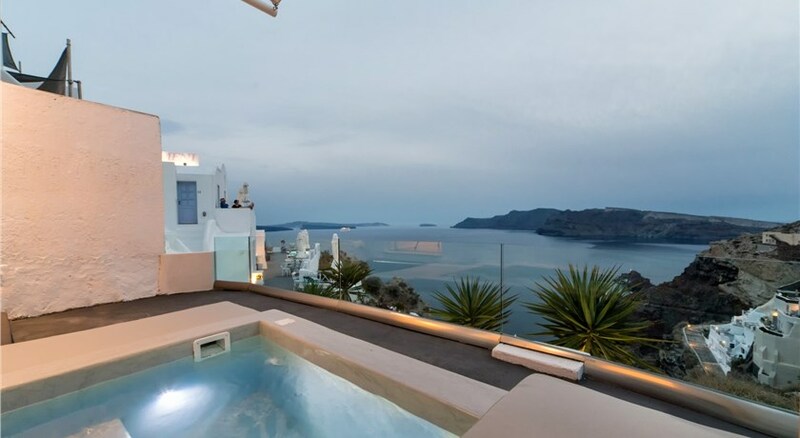 Perched on Caldera Cliff and centrally located in the traditional Oia Village , Oia Mare Villas overlook the Aegean Sea, the Caldera and Thirasia Island. From the property's swimming pool guests can gaze at the sea and enjoy the magnificent sunset views. Oia Mare Villas offers cave-style rooms and suites with air conditioning, free WiFi access and a private balcony or terrace overlooking the sea. Each white-washed unit remains true to the style of the island, featuring minimal decoration, built-in beds and handmade furnishings.The bathrooms come with built-in showers, free toiletries and hairdryer. Some units have an outdoor hot tub . Guests staying at Oia Mare can easily explore the village of Oia and visit its local tavernas and restaurants situated a few steps down the cliff. The traditional fish tavernas of Ammoudi lie within a walking distance. 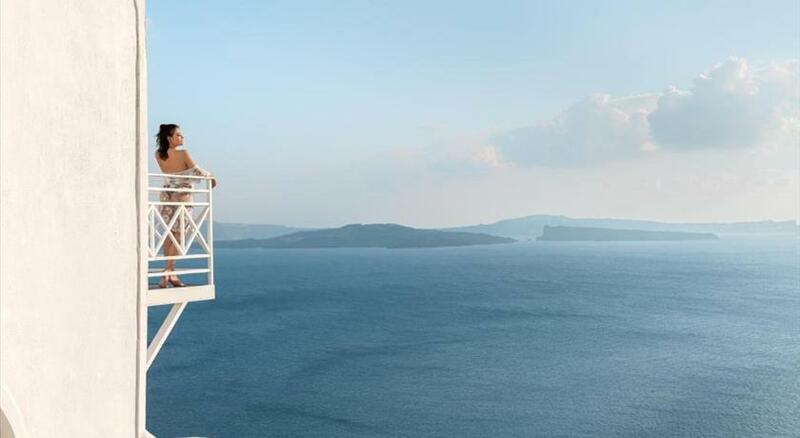 With spectacular views of the Caldera and Aegean Sea, this charming hotel offers a secluded location away from Oia’s tourist areas, just 10 minutes’ walk from beautiful Ammoudi Bay . Taken from a drone fly over that shows the hotel from above. 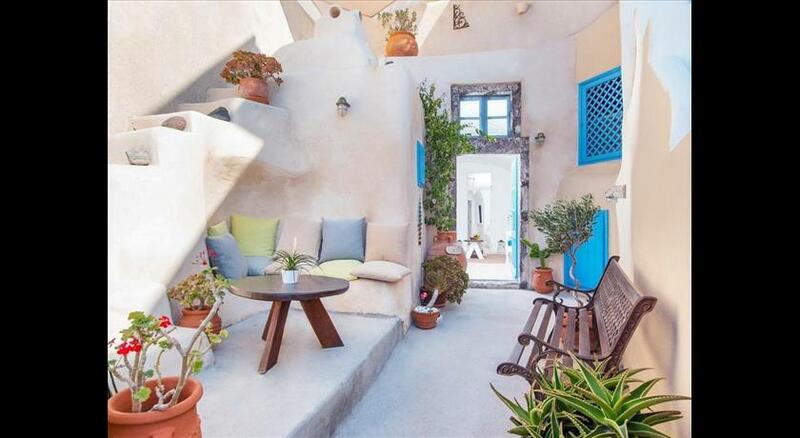 Oia Mare Villas is located in Oia's caldera. Children cannot be accommodated at the hotel. All further adults are charged EUR 80 per night for extra beds. The maximum number of extra beds in a room is 1. Please inform Oia Mare Villas in advance of your expected arrival time. You can use the Special Requests box when booking, or contact the property directly with the contact details provided in your confirmation. Please note that from 1 May until 30 September, children below 12 years old cannot be accommodated in Oia Mare Villas. Please carefully read the check-in procedures provided by Oia Mare Villas once your booking has been confirmed. Also note that additional charges apply for extra guests (see Hotel Policies). Please note that baby cots cannot be provided.